Subject: Euro Millones ( Your Email Address Has Won A Lottery )!!! Euro Millones ( Your Email Address Has Won A Lottery )!!! INTERNATIONAL PROMOTIONS /PRIZE AWARD DEPT. We are please to announce you as one of the 10 lucky winners in the Euro Millones Lottery International Email Address draw on the 20th of November,due to the mixture of names and address the result was released on the 1st December,2006. The Euro Millones Lottery Program internet draw is held once in a year and is so organized to encourage the use of the internet and computers worldwide. We are proud to say that over 200 Million Euros are won annually in more than 150 countries worldwide. 1. You must contact the appointed agent with your Full Names Dr. Patrick Austine, Contact Telephone Numbers +34 655 633 390 or via email to proce ss the immediate payment of your prize. 2. 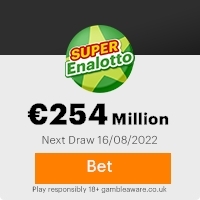 Be informed that the appointe d agent wi ll be required t o swear an Affidavits of Lotto Claim and also obtain Approval Legal Clearance Certificate from the Court here in Spain which is in accordance with the European Union Financial Act 2004 on payment of International Lottery Winners. Please be aware that the PAYING BANK will Effect Payment Swiftly upon satisfactory Report, Verifications and validation provided by this fiduciary agent. For security reasons, you are advised to keep your winning information confidential till your claims is processed and your money remitted to you. NOTE: in order to avoid unnecessary delays, if there will be any change in your address or complications do inform your agent as soon as possible. Once again Congratulations from all our staff. Unser Dankeschön: Ihr Name auf dem Segel der 1. deutschen America's Cup-Yacht! This Email with the Subject "Euro Millones ( Your Email Address Has Won A Lottery )!!!" was received in one of Scamdex's honeypot email accounts on Sat, 02 Dec 2006 04:40:44 -0800 and has been classified as a Generic Scam Email. The sender shows as euro millones <euromilloneslottery-2ndcategory-winners@web.de>, although that address was probably spoofed. We recommend that you do not attempt to contact any persons or organizations referenced in this email, as you may expose yourself to scammers and, at the very least, you will be added to their email address lists for spam purposes.